And so it was time for qualifying. Saturday, May 15. Over 200,000 fans streamed into the Speedway. The sun was warm, the atmosphere electric. Jim wore a short-sleeved shirt to the track, then changed into his Hinchmans. 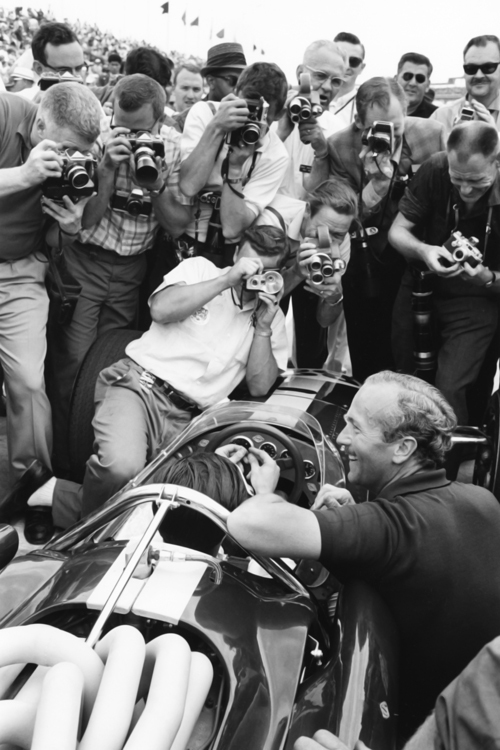 It was a media frenzy; the qualifying line was a mass of people, cars and equipment. Jim found shelter under the Lotus pit wall gantry. 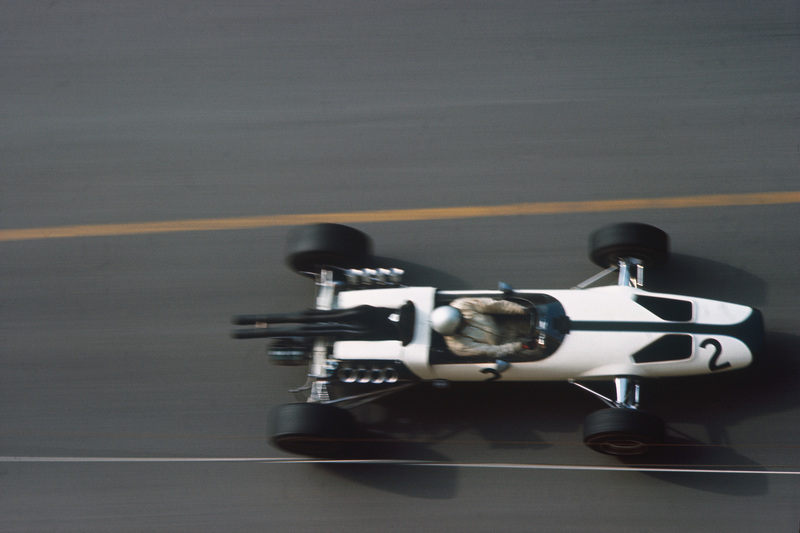 He was due on track shortly after Mario, who took the temporary pole with a four-lap average of 158.849mph in his Clint Brawner/Jim McGee Brabham copy. Jim and Mike fired up the Ford V8. 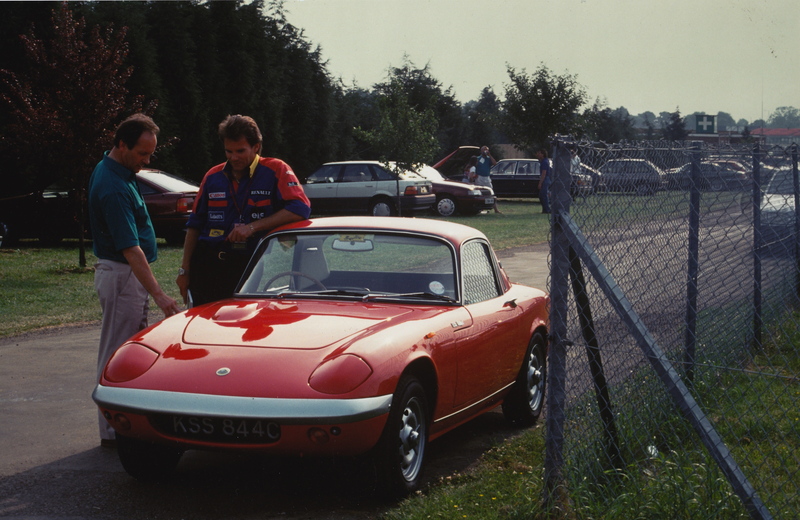 The first engine had covered an amazing 1500 miles over the opening week, with a new boost-venturi fuel injection system providing improved consumption with no loss of power. 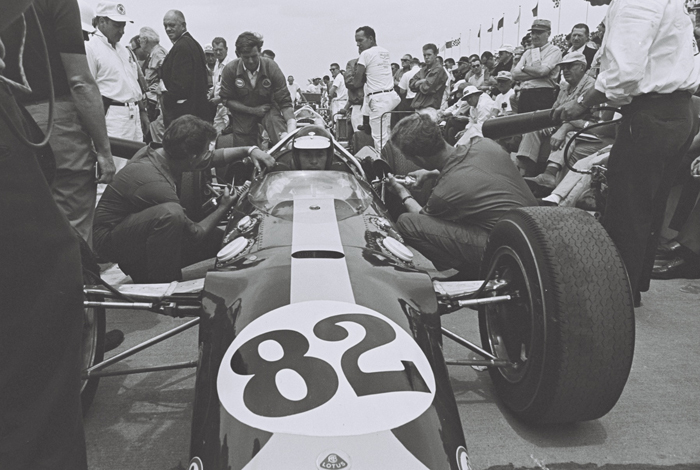 Jim had revved the engine to 9,300 in this period but would restrict the race engine to 9,100 for qualifying and then 8,800 for the 500 miles. 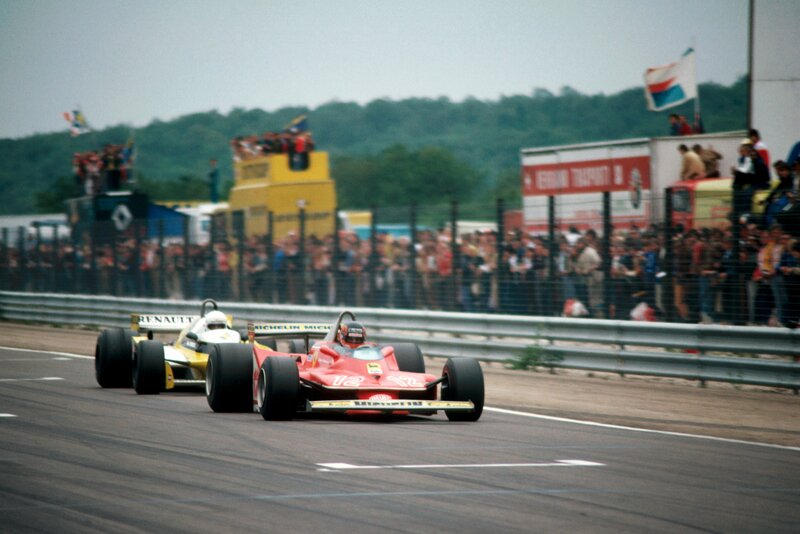 No-one believed that Firestone could take the pole – and so it proved. 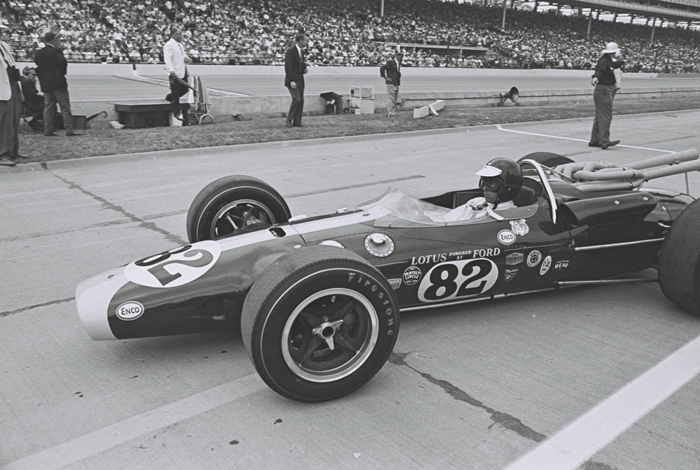 Having said that, Jim’s second lap broke the 160mph barrier (160.973mph) for the first time and paved the way to a four-lap average of 159.405mph. Amazingly, as Colin and the media swarmed around him, Jim apologised for “making a mess of it” on laps three and four due to the sudden gusts of wind. 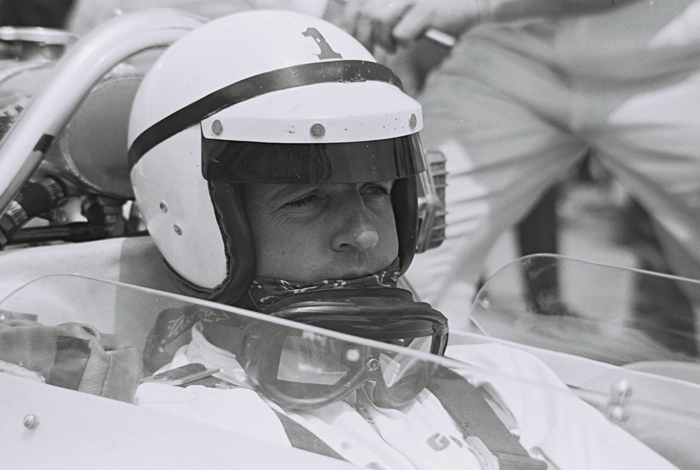 AJ Foyt (below) stalled his Ford engine just prior to his run but eventually took to the track in calmer conditions. 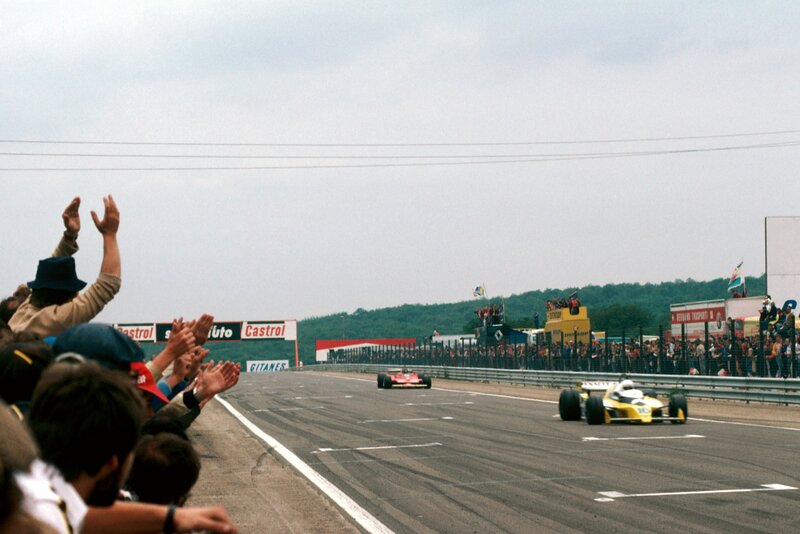 Maximising his softer Goodyears, he won the pole at a stunning average of 161.233mph. Jim would start from the middle of the front row, with Dan to his right. Then, for Jim, came a welcome break: he headed for the airport and a flight back to London. 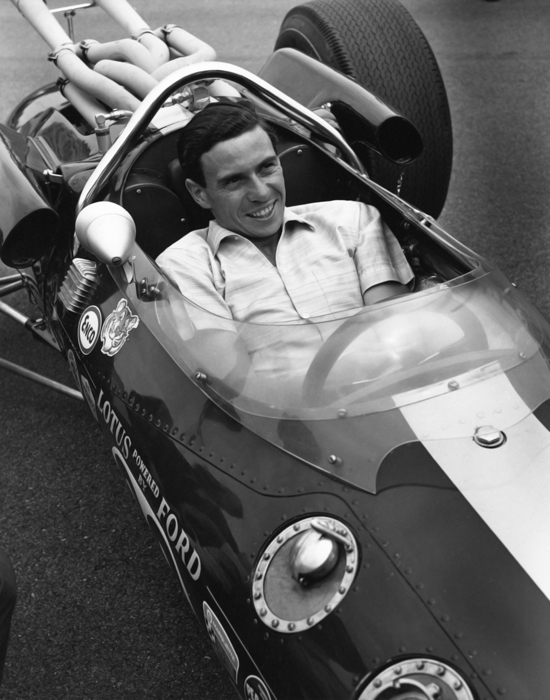 He would spend a few days in Scotland and then return, with Sally Stokes, to Indy for the race. 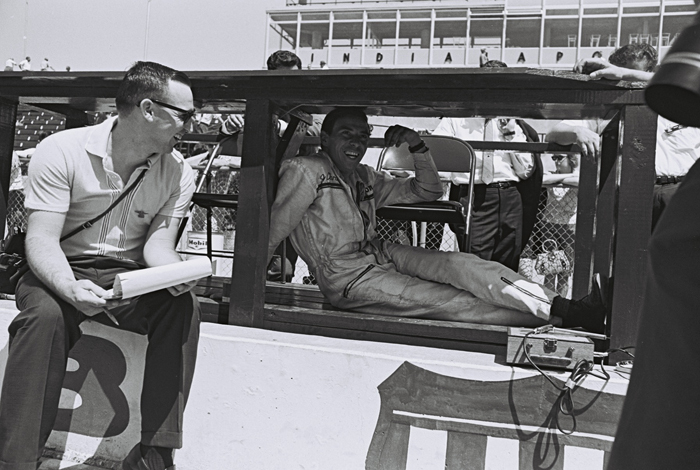 Jim’s team-mate, Bobby Johns, would “sit in” for him during the traditional front-row photographs on the Monday. Fabulous Jimmy memories. Please keep them coming. The shot of Jimmy about to leave the pits to qualify has “Laz” behind the car ready to start the engine & with Mike & I beside the car, with spray cans, ready to squirt fuel into the engine inlets. I don’t remember having time to watch the grass grow! !